I am qrv since 2005 from jn39gg. Previous ants were only 12e VHF at 13m gnd and a 50Mhz dipole @ 9m gnd along the tower untill 2007. 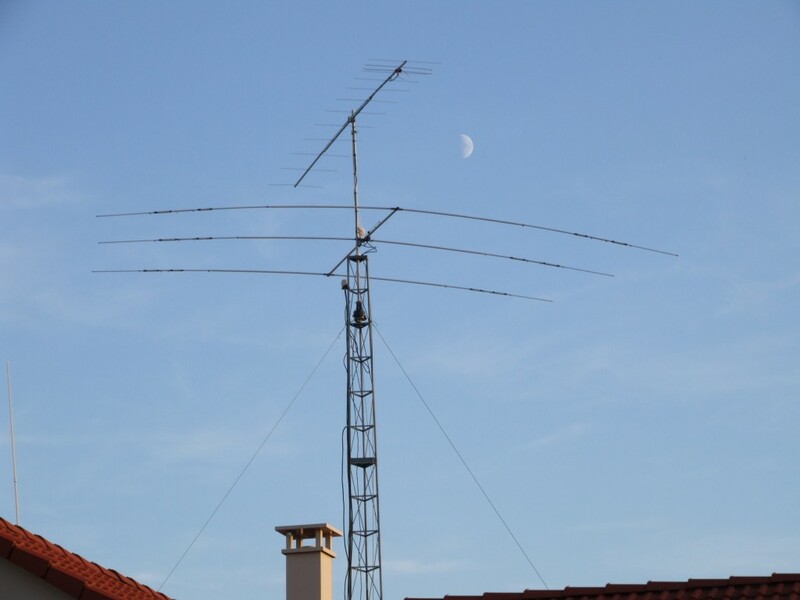 Next has come a conrad windom so 26m + 13m long with 1/6 balun ; i have began in HF with. 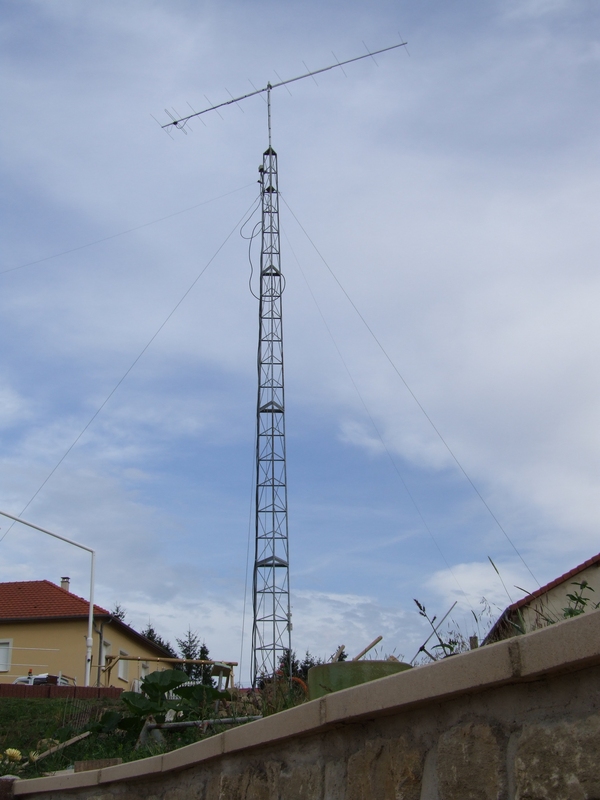 In 2009 i have add a 3e tribander beam TH-3 on tower at 12.5m gnd and 12e VHF has rise upper. 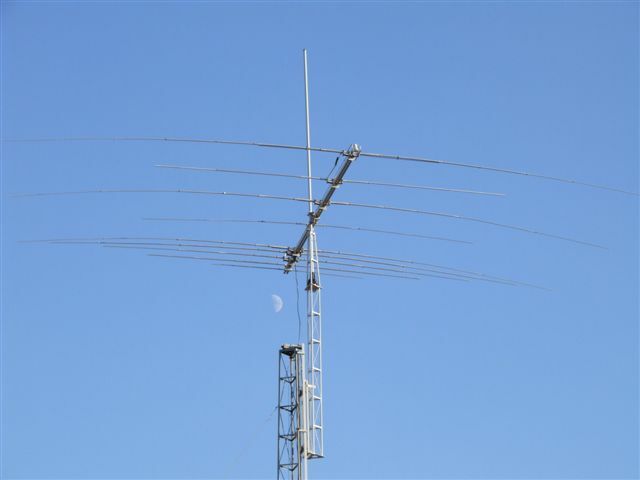 In 2010 i change to a 8 band antenna beam a sommer antenna DJ2UT xp-508 and add a trolley lifting system on the tower.